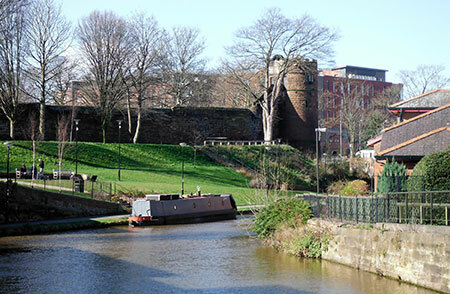 The Chester Canal Conservation Area is the first conservation area ever to be designated by Cheshire West and Chester Council. An exciting partnership between Chester Canal Heritage Trust, Cheshire West and Chester and Cheshire East Councils has resulted today (17 January) in the designation of an historic canal section, the current day Shropshire Union Canal. Conservation areas are designated for their special architectural or historic character. The area is a linear 28 mile canal corridor that starts on the boundary of the Ellesmere Port Docks conservation area and ends at Basin End in Nantwich. 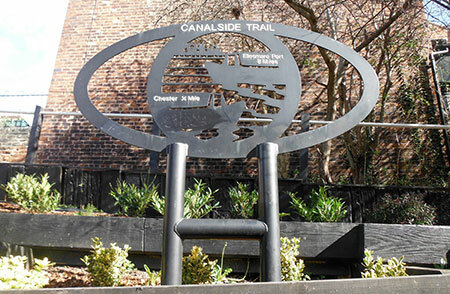 The canal was originally industrial in character and constructed when the Chester Canal Act was passed in 1772. It is unique for being one of the earliest broad beam canals, built to provide a link from the port of Chester to the salt towns of Cheshire. The designation was made more significant by the fact that survey work was undertaken by volunteers from the Chester Canal Heritage Trust. Their specific knowledge of the canal’s special interest resulted in the documentation of the canal’s historic origins and overall character in the form of a conservation area appraisal, management plan and gazetteer. This information identifies features that contribute to the special architectural and historic qualities of the canal, and sets out how it should be managed. The purpose of the conservation area is to emphasise its importance as a heritage asset, and to support and regenerate local economies, tourism and culture. Councillor Louise Gittins, Cabinet Member for Communities and Wellbeing, said: “This is a wonderful achievement for both the Council and Chester Canal Heritage Trust following the national ‘50 Years of Conservation Areas’ celebration. This follows the success in 2017 of the nationally celebrated 50th anniversary of the Civic Amenities Act 1967 for Conservation Area designation ‘50 Years of Conservation Areas’.